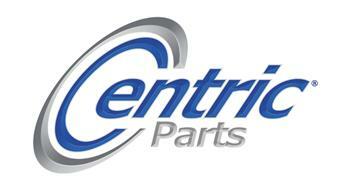 Centric Parts is a leading manufacturer and supplier of aftermarket brake components and systems for everyday cars, performance duty vehicles and ultra performance vehicles under the Centric, StopTech, Power Slot and PosiQuiet brands among others. Centric continually innovates significant improvements to brake technology for the street and track, having earned four patents along the way. The company was founded in 2000 in Southern California and has enjoyed solid growth every year since. Today the company operates multiple warehouse and manufacturing facilities totaling 438,000 square feet and exceeding 500 employees. Centric’s executives bring with them extensive experience and insight. Dino Crescentini, CEO of Centric Parts has several successful aftermarket companies under his belt as founder and senior executive, including Autospecialty and StopTech and has been a race car driver for the last three decades. He currently races as part of the SCCA SPEED World Challenge Championships on the Global Motorsports Group team. Dan Lelchuk, president of Centric Parts, has been part of the auto aftermarket business since 1976, holding positions with several import parts suppliers including Beck Arnley and Brembo as well as also having worked with Crescentini at Autospecialty. Stephen Ruiz, Centric Parts’ Director of Engineering and a recognized industry expert, comes with over 20 years of brake and friction materials experience as well as race car design, engineering, and manufacturing. The company is rounded out with skilled and seasoned experts from across the industry. This encompassing knowledge of the industry brought by the executive team is further expanded on through Centric’s dedication to research and development. The company has one of the industry’s best programs for tracking and cataloging original equipment, and devising quality aftermarket and OE parts for consumers, mechanics and car makers. Centric’s catalogs, a practical standard in the industry, now boast over 40,000 braking system parts supporting nearly every make and model from passenger cars to medium duty trucks manufactured since 1937. In the process, the company has earned a string of braking technology patents, has been repeatedly awarded by the Friction Materials Standards Institute for catalog and program excellence, and has earned the highly coveted TÜV approval on several big brake kits. Originally focusing on replacement parts for everyday use, Centric parts has aggressively expanded into the performance market by acquiring StopTech in 2006 and Power Slot in 2007.